The Olympics is a new separate company than the MRT Olympic Committee because the MRT Olympic Committee has not hosted a game since 2013. Also, the new Olympics will be split into two divisions. The Winter Olympics, and the Summer Olympics. There will be 1 of each, each year. Instead of the old MRT Olympics, in the new games, players will represent their own MRT towns instead of real life countries. Winter Olympic games are Skiing, Elytra Racing, Hockey, Ice Skate Racing, Curling, spleef, and Indoor PvP. Summer Olympic games include Archery, Track Racing, Swimming, Rowing, Golf, Elytra, Diving, sumo, Karting, cross country racing, Horse Racing, Outdoor Parkour, and Outdoor PvP. - If you decide to compete, and you put your name on the list, and you will receive $80 dollars at the opening ceremony for participating. If you receive any Medals, you will also receive extra money. The next Summer Olympics will be played May 27 - June 3, 2018. The next city to host the Olympics will be chosen March 29th, 2019. Summer Olympic games include Archery, Track Racing, Swimming, Rowing, Golf, Elytra flying, Diving, sumo, Karting, cross country racing, Horse Racing, Outdoor Parkour, and Outdoor PvP. The next Winter Olympics will be played on December 27 to December 29, 2018. The host city is Waterville. Winter Olympic games are Skiing, Elytra Racing, Hockey, Ice Skate Racing, Ice golf, spleef, and Indoor PvP. The next Fall Olympics is on October 14th. It will feature archery, pvp, cross country, and karting. 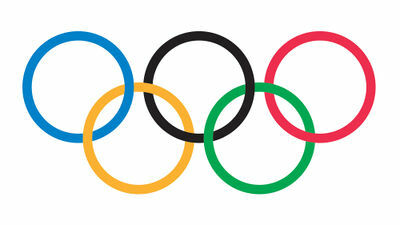 Unlike the winter and summer Olympics, the fall Olympics is just one day. The host city will be announced on September 23rd. The Unofficial date for the games is on April 13. Spring Olympics is one day long, and includes 8 hole mini golf, horse racing, track racing, and pvp. To host the Summer Olympics, you must post your town in the list by March 1st 2018. Winner host receives $500 to help build the Olympic village. Please request your town to Host by editing this page and Putting your town name in the list below. Indoor/Outdoor swimming Pool acquitted for racing. Outdoor River/body of water with a Rowing Coarse. To host the Winter Olympics you must post your town on the list by October 11th 2018. Winner host receives $500 to help build the Olympic village. Please request your town to Host by editing this page and Putting your town name in the list below. Richville was announced as the host city by airplane320 on discord on September 23rd. The numbers below are a rating out of 10 by airplane. Scores such as Stadium show the potential for a Stadium, not the rating for an actual one already built. The Spring Olympics will occur on April 13th. To officially sign-up for a bid, fill out this form: https://docs.google.com/forms/d/e/1FAIpQLSfaf67ODxvwgFCWYWNByd26qxPEvVIAqh8c6HzI2N5q3xk0Vw/viewform . Applications have closed for the 2018 Summer Olympics, to participate in the 2018 Winter games, the applications will be released in early November. The town is capable (and big enough) of having an Olympic Village with arenas, stadiums, etc. Town is connected to the outside world and has easy transportation to, through, and out the town. The four finalists must submit a build plan on dynmap to airplane320, and the final two finalists must create an Olympic bid wiki page. Voting Process There are 3 rounds of voting, each taking a week. [Week 2] The public has one week to vote for 4 out of 8 towns/cities that we think should host the games. [Week 3] The Public has one week to vote for 2 out of 4 towns/cities that we think should host the games. [Week 4] The public has one week to vote for the final winner, airplane320 announces the Host City, if there is a tie, the chairman, airplane320, will get to choose the winner. [Day 1] airplane320 selects one city to host the fall/spring games.